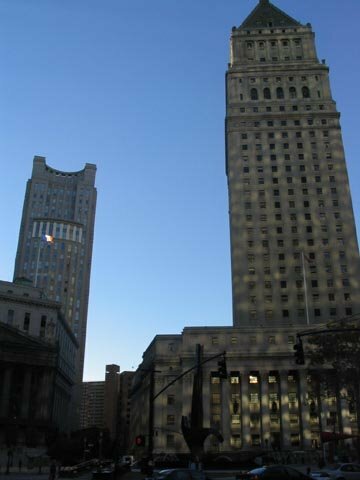 The Court of Appeals has vacated a $200,000 jury award in a discrimination case brought against the Nassau County Sheriff's Department, ruling that plaintiff could not prevail on an implied contract theory of discrimination. The case is Saeed v. Kreutz, a summary order decided on April 3. I represented the plaintiff on appeal. The jury heard evidence that Saeed, who worked in the Sheriff's Department, was subjected to anti-gay and racist comments from fellow law enforcement officers, including his Sergeant. The jury had two sets of claims before it: (1) implied contract arising from the County's EEO policy, which prohibited discrimination and (2) federal and state antidiscrimination statutory violations, including Title VII. The jury ruled in plaintiff's favor on the contract theory but rejected his federal and state discrimination claims. The County appealed from the contract verdict and plaintiff cross-appealed, arguing that the verdict was inconsistent because the favorable verdict on the contract claim meant that defendants also violated Title VII. The Court of Appeals (Jacobs, Lohier and Geraci [D.J.]) vacates the contract verdict and denies the cross appeal. On the contract claim, the Court ruled, "The district court erred in submitting the implied contract claim to the jury. That claim rests on the theory that the Department and the County were bound--as a matter of contract--to the terms of the County’s Equal Employment Opportunity Policy. But under New York law, '[a] contract cannot be implied in fact where there is an express contract covering the subject matter involved. '” The express contract was the Collective Bargaining Agreement, which contained an anti-discrimination clause. "Because the CBA and the alleged implied-in-fact contract concerned the same subject matter--i.e., the terms and conditions of employment--the implied contract claim fails as a matter of law." The cross-appeal for a new trial is also rejected. The verdict was not inconsistent, the Court of Appeals says. "The verdicts were not irreconcilably inconsistent. The jury was instructed that Saeed should prevail on the implied contract claim if defendants 'breached the contract by discriminating against the plaintiff or treating the plaintiff unfairly.' The jury could have understood this instruction to mean that defendants had a contractual obligation to treat Saeed 'fairly' that was not based on any obligation to abstain from discrimination and retaliation. If the jury interpreted the instruction this way, it could have found for Saeed on the implied contract claim without also finding for him on the statutory claims."